A summer dream, this wonderful stunnig bouquet featuring white lilies and roses makes a great gift for any occasion: wedding, baby shower or just because! 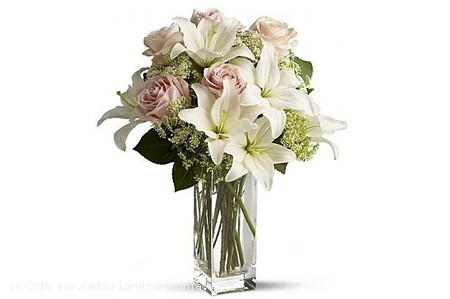 The beautiful flower bouquet contains breathtaking lilies and pure white roses. The gifts are accompanied by a complimentary card with your message.